Number 919, Sector B, Area 3, Unit PP14, level 10. 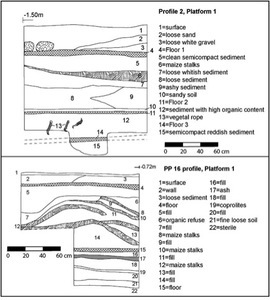 Area 3 is a platform mound that has alternating layers of earth fill and maize stalks used for construction fill (Cutright 2009:113). 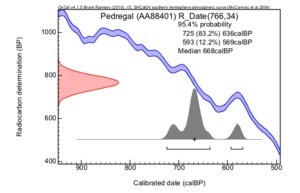 This sample was dated as part of the Blake and Benz's (2010) Maize Dating and aDNA project. Robyn Cutright (2009: Figure 4.28, p. 113). 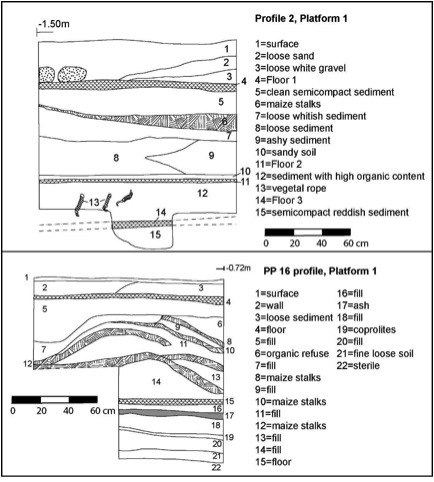 This profile shows the layers of maize stalks used as part of the construction fill in the platform mound, Area 3.